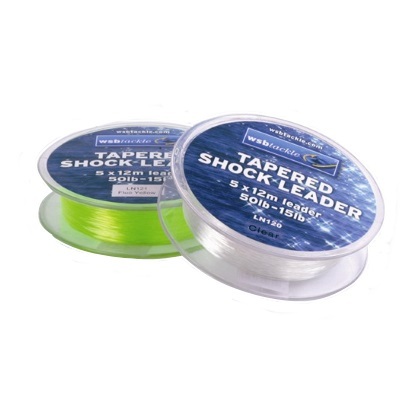 High quality tapered leaders from WSB Tackle. Using a tapered leader offers a number of advantages – the knot connecting the leader to the main line is smaller meaning it is stronger, more streamlined and less likely to collect weed. 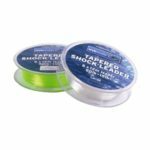 Using a tapered leader also increases casting distance. Each leader tapers from 50lb breaking strain to 15lb over the 12 metre length. Five leaders are contained on each spool. Available in either clear or hi-vis yellow colours.